Project managers can get pretty bruised by the lessons projects throw at us. But we deserve a little time off too. And, if you’re like me, you’ll spend some of it in Westeros. But that’s good, because we can learn plenty of project management lessons from Game of Thrones and the world George RR Martin has created. Before reading further, a warning: SPOILER ALERT. We could argue for hours about what the story of Game of Thrones (and the novel series A Song of Ice and Fire) is really about, but somewhere near its core is the warring and rivalry among major factions, set in a deep historical and mythical landscape. And within this strife, lie numerous lessons that can be applied to project management. Westeros is a feudal society ruled by lords and lordlings. Everything takes second place to their dynastic ambitions for power. So, the only major projects we can see are military in nature, like a big wall and big castles. Lesson 1: Innovative projects cannot thrive when your organization is in turmoil. Jon Snow wants to defeat a supernatural army, and Daenerys Targaryen wants to break the wheel that has perpetuated the system above. To do this, Snow has built an alliance of Northern lords, Wildlings, Knights of the Vale and now Daenerys Targeryen. Meanwhile, the breaker of chains has a former slave army, a nomadic horde and Tyrion Lannister. Maybe Dorne too. Lesson 2: Audacious projects need diverse stakeholders to be fully aligned. It’s by no means clear what the North remembers – nor what that has to do with the Royce family words. But one candidate is the part the Stark family played in defeating the Long Night, and their role in constantly defending the North and its people. Lesson 3: Stakeholders have a long memory when it comes to trust… one way or the other. It’s not just the fans; the characters have multiple interpretations of each prophecy, too. And what the author tells us clearly is that prophecy is fickle. You can’t read it like a balance sheet. Lesson 4: You can identify the risks, but you need to prepare for multiple outcomes. Thousands of years of complacency have led to the situation at the start of our story. It seems maybe the North forgot; now look at the mess they’re in. Lesson 5: Take nothing for granted. Remain vigilant. Each noble house in Westeros has its own motto, referred to as the “House Words.” The author mostly uses them to delineate some aspect of leading characters within the house. The words of House Stark, whose motto is quoted above, are perhaps the most ambiguous. At the start of the story, most of us think they warn of a predictable natural threat. Now, we’re not so sure. Perhaps they are the threat, just as the words of houses like Baratheon (“Ours is the Fury”) and Lannister (see below). Lesson 6: Be risk aware. Prepare carefully, and co-operate in the face of challenges. The above motto of House Lannister is the clearest threat and betrays a preparedness to do whatever it takes to achieve their goal. Some element of that mindset is valuable to project managers too. Lesson 7: You sometimes need a fierce determination to deliver a difficult project. It’s the above words of House Tyrell that most clearly show Martin’s use of these mottos as a source of irony. Most of the characters from this house exhibit highly opportunistic behavior that flies in the face of their words. Another spoiler alert: look where it leaves them. Lesson 8: Play the long game and husband your resources with resource planning if you want to win long term. The motto of House Martell of Dorne above also has ironic words. On the face of it, the simple lesson of these words is resilience. But the House may have been unbowed and unbent, but at the point the TV series has reached in the story, they are most definitely broken. Lesson 9: Resilience means being able to bend and flex. Flexibility is a necessary trait of a working project manager. Everybody’s favorite dysfunctional Reaver family, the Greyjoys, doesn’t sow, they take. They don’t pay in gold either; they pay the “iron price” with the points of their swords. And look at their home: barren rocks. Lesson 10: You reap what you sow. Invest in doing the right things at the start of your project, and you will harvest the rewards later. One of the joys of the books and series are the numerous witty or thought-provoking quotes – especially from some of the main characters. If only I could pick out some personal favorites, but no. I promised you quotes that have project management lessons instead. Happily, some achieve both. How is it that no one said this before George R.R. Martin? It’s a brilliant quote that needs no interpretation! Lesson 11: Project managers need to be always learning. Read project management articles, magazines and books. What better warning could an author give their readers than not to trust what they think they know? And it applies to projects as much as to the Game of Thrones. Lesson 12: You don’t always know what you think you know. And you certainly don’t know what you don’t yet know. So, keep an open mind, and check everything. Tyrion implies that his awareness of his own shortcomings strengthens him, and he’s right. The characters who ignore what should be plain to them have a habit of dying. It’s Tyrion’s “cripples, bastards, and broken things” who understand their status, who thrive. This quote highlights something I have observed in stakeholders and in project boards and sponsors. But most importantly, it’s the reason why a project reporting cycle is so important: it compels you to take a fresh, objective look at the facts of your project. Lesson 13: Deal with the hard truths before they shatter your project… and you. Anyone who knows my work may recall I am fond of quoting the lawyer, Mr. Jaggers, from Great Expectations: “Take nothing on its looks; take everything on evidence.” And here’s a new version for me to embrace. Lesson 14: The facts are what matter. Everything else is opinion or fiction. Here is everyone’s favorite show character channeling Queen Elizabeth I at Tilbury. But what has this to do with project management? A project manager needs to lead. And sometimes that means rolling your sleeves up and putting your hand deep down the drains. You don’t need to be able to do everything your team members can do; that isn’t the point. What you do need is a willingness to lead from the front and do your share of the nasty tasks. Lesson 15: Project management is leadership, and leadership means standing at the front. There you have it. Fifteen lessons from one of the most popular works of fiction so far this century. I’d love to hear what lessons you’d draw from your favorite scenes, plot-lines, and characters. Even if you don’t watch Game of Thrones, the lessons learned from an extreme drama can apply to the dramedy of leading a project. But project management isn’t fiction, and if you want to write your own success story, you better have the right instruments. 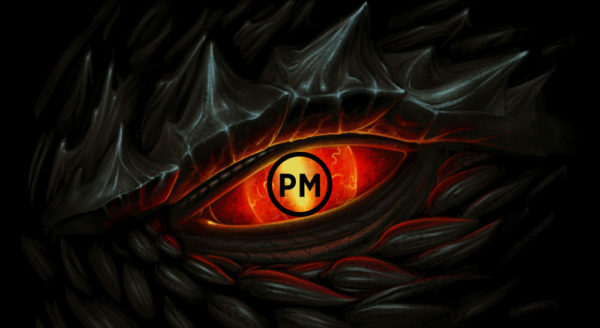 ProjectManager.com is a PM software with the tools you need to do just that. From online Gantt charts to make scheduling a breeze to real-time dashboards that give you accurate data about your project’s progress, everything you need is here. See for yourself by taking this free 30-day trial.